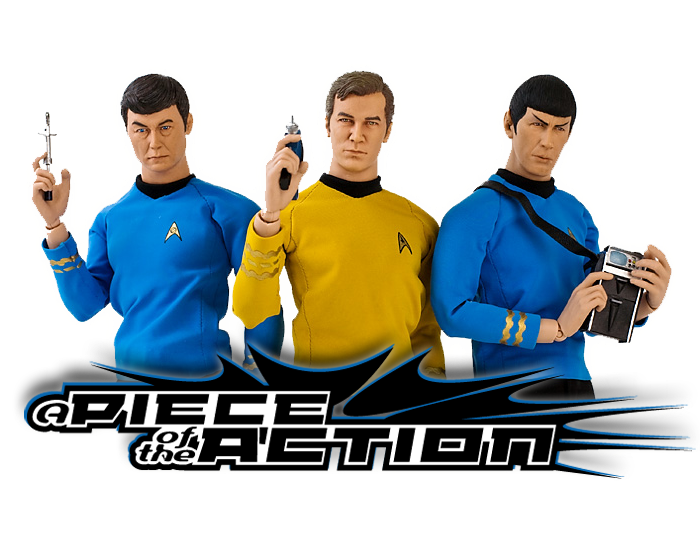 A Piece Of The Action: Star Trek The Sci-Fi Channel Special Edition Extras- "Where No Man Has Gone Before"
About 10 years ago, the Sci-Fi Channel acquired syndication rights for the original Star Trek television series. For years, the shows had been cut down to fit the amount of commercial time needed for current day programs. See- during the 60's, there were less commercials, so you had more runtime on the actual show than for a current day hour long program. Sci Fi fixed this problem by making the time slot a full hour and a half. Dubbed "Star Trek The Sci-Fi Channel Special Edition", the episodes would be supplemented with original interviews with the cast and crew discussing each episode. The interviews and extra bits were especially entertaining since it featured more than just the standard cast but also highlighted guest actors, writers, etc. I taped each and every episode as they aired (even though sometimes I hit record a little late and missed a minute or two). The interviews and extras really are neat, and since I've never seen them anywhere on the web, I decided to dig out the tapes and start grabbing out all of the extra bits. I've found probably 75% of the tapes so far, and I hope to find the rest eventually. These are the extra bits from the first production regular episode, "Where No Man Has Gone Before". Enjoy! I really enjoyed the commentary. How young Shatner looked! Are these episodes put up on YT in their entirety? 90 minutes is a lot to upload for all these episodes. Really appreciate the effort you put in, but it would've been nicer if you had your blog address a little less distracting, maybe have it fade in for a few seconds like TCM or have it translucent like Scifi channel has their logo. By the way, I don't see the scifi logo in the corner. I seem to recall they had been using the green saturn during this run. Anyway, thanks again. I have some of these on VHS that I taped back when they aired (during the Nimoy run).